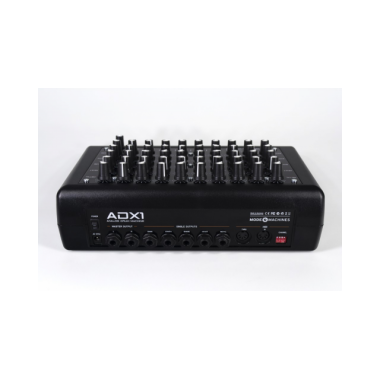 The ADX-1 is an analogue 5-Channel Drum Expander. The 5 channels offer different sound pallets: metal is used to create cymbal length and consists of two different metallic sounding generators. 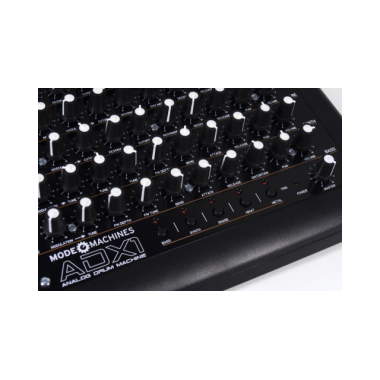 Two filters, Envelope / Modulation options, Decay and Release. 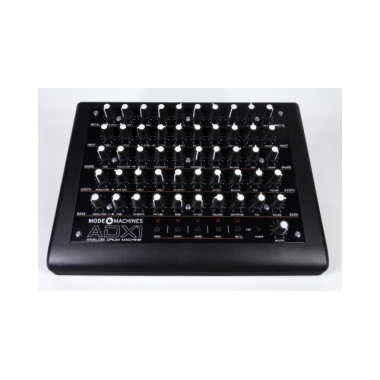 Hi Hat consists of a metallic sounding generator and a "clean" signal, pitch control, mix, modulation, filter, envelope modulation, decay and release. The sound of the snare is generated by a metal-sounding noise generator through two parallel-connected bandpass filters, decay and release. 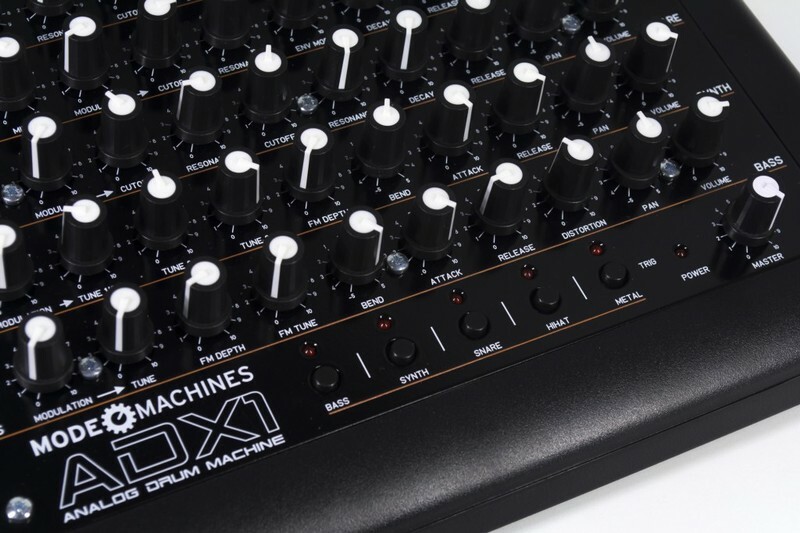 Synth is used to create sounds like bells or synthesizers and consists of 3 sine oscillators. FM and Bend for a wide range of sounds, attack and release. 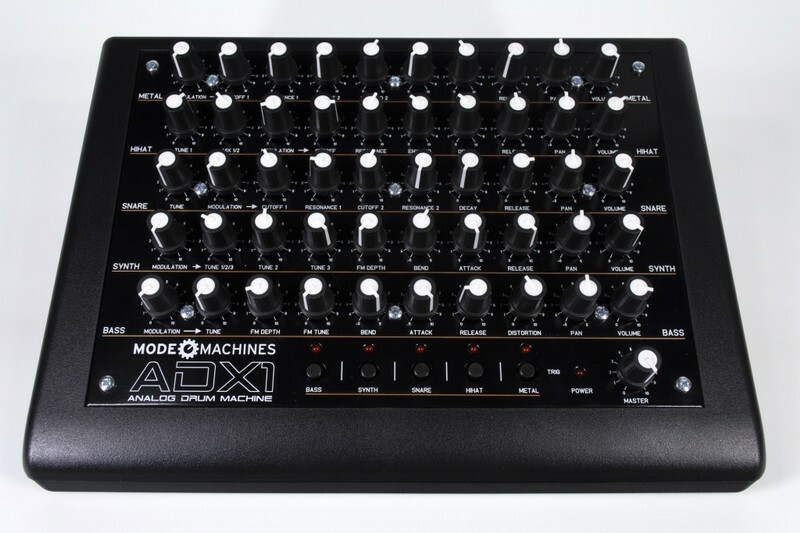 Consists of a sine oscillator, with pitch control. 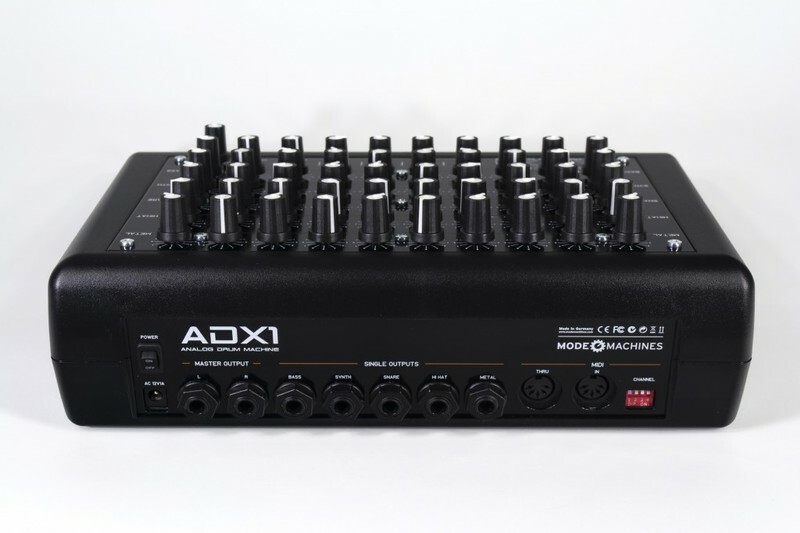 Additional harmonics can be generated by frequency modulation. Attack simulates the "pluck" of a bass string, release, to control the length and distortion for more dirty sounds.